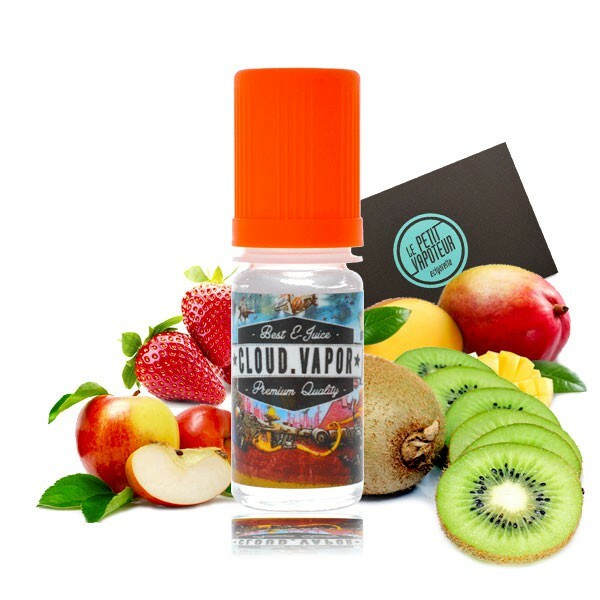 Prism by Cloud Vapor is an exotic juice based on green apples, strawberries and kiwis seasoned by a creamy mango. A concentrate made of high quality aromas for the preparation of your e-liquid. Prism is made by Cloud Vapor in France. Real vape lovers, Cloud Vapor select high quality food flavourings, made in California. The concentrates are assembled in France by the Cloud Vapor team. The concentrates Cloud Vapor have to be mixed with a base. Flexible 10ml vial with childproof caps and integrated dropper.